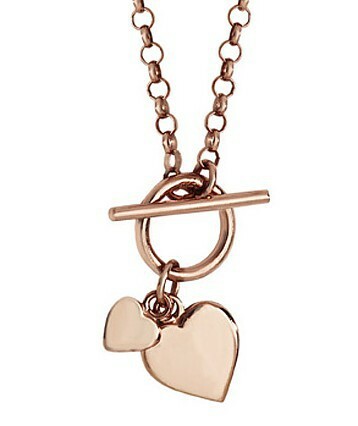 Tell someone you love them – to the moon and back – with this exquisite double heart pendant on a T-Bar chain. All created in Sterling Silver overlaid with Rose Gold. Designed to be worn everyday am-pm. Size: 3cm long Hearts: 1.3cm and 75mm.